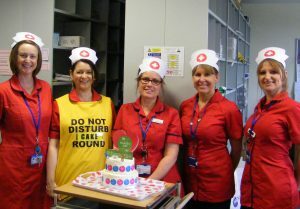 FROME has paid tribute to local nurses and celebrated the work they do during International Nurses Day on 12th May. Melissa Book, administrator at Frome Community Hospital said, “This is an annual celebration of nurses and to show how hard they work and how much they are appreciated. International Nurses Day is held on 12th May each year, the birthday of Florence Nightingale – the founder of modern nursing. It was first celebrated in 1965, to celebrate all she did for patients and the continuation of hard work done by nurses across the country each year.